Each year, at least 1.7 million adults in the U.S. develop sepsis, the body’s extreme response to an infection, and nearly 270,000 Americans die as a result of sepsis each year*. 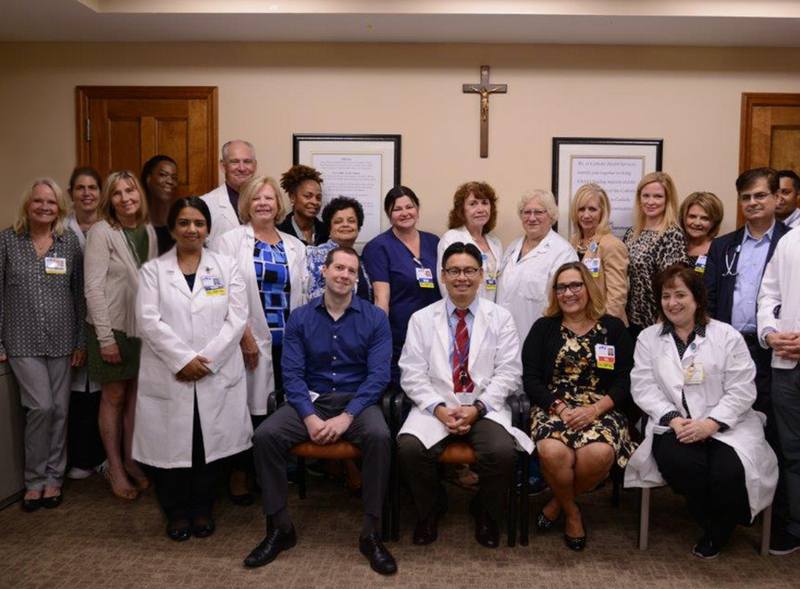 Today, Catholic Health Services's Mercy Medical Center became the first hospital in New York State to receive The Joint Commission’s Gold Seal of Approval® for Sepsis Care. The Gold Seal reflects Mercy’s commitment and dedication to providing the highest standard in sepsis care. Sepsis happens when an infection you already have — in your skin, lungs, urinary tract or somewhere else — triggers a chain reaction throughout your body. Without timely treatment, sepsis can rapidly lead to tissue damage, organ failure and death. And, in most cases, sepsis occurs even before the patient is admitted to the hospital, underscoring the importance of sepsis education and awareness. •Created an electronic sepsis screen where every patient, every day on every shift is screened for sepsis. “Sepsis is a medical emergency that requires rapid recognition and treatment to improve patient survival. Lives can be saved by using existing and proven sepsis protocols; therefore, Mercy remains committed to high quality sepsis care for our patients with the goal of decreasing sepsis mortality while increasing sepsis education and patient engagement,” said Mercy Medical Center’s Associate Director of Emergency Medicine and Co-chair of Sepsis Committee Kurt Dischner, MD. Mercy also holds an advance certification from The Joint Commission for primary stroke care. For more information, visit www.mercymedicalcenter.chsli.edu or call 516-62-MERCY (63729).